Seed production under vector net has been introduced for two decades in order to raise the standard of seed production. Nowadays we produce all the seed with this method. This seed production method needs special knowledge, practical experience and consideralble manual work. All these extra inputs mean much higher cost compared to traditional seed production in field, but the advantages of this technology give grounds for applying it. The main steps of seed production are the selections, collecting and handling the stamens, polinating every flower by hand, cleaning the flower crown, collecting and handling the capsules, preparing the seed for receiving and cleaning. The variety identity of every seedlot is checked in the field after the year of production. The seed processing can be done only after this identity test. 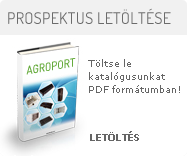 The variety check is carried out on the Variety Check Station of Hungarian Central Agricultural Office in Monorierdő. The seed quality is continously tested at many points of the seed processing, which guarantees that only high quality seed can be sold for the growers. The seed is processed on the basis of costumers’ demands (raw seed or pellet, different packaging types etc.). The all process of seed production is officially supervised by Agricultural Office, devoting great care to abiding by the relevant Hungarian regulations.